Where do you find the necessary funding to seed a business, buy a new one, or raise additional working capital? This is why the idea of using retirement plans to inject cash into a business has been gaining popularity. Although few know about this new concept, if structured correctly it allows for an individual’s retirement account to invest directly into their business venture without taking a distribution and paying taxes or penalties. The IRA and 401(k) were created in 1974 when congress passed the Employee Retirement Income Security Act (ERISA). 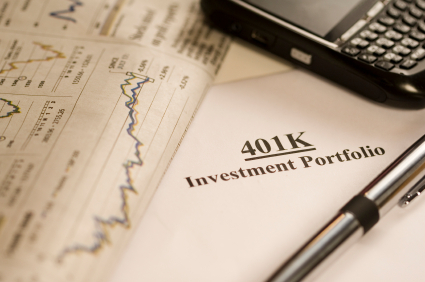 The IRA and 401(k) transferred the responsibility of retirement investing from the employer to the employee. The rules surrounding these plans are complex; the laws state that retirement plans are prohibited from only two types of investments: life insurance and collectibles. Retirement Account Facilitators (RAFs), such as Bellevue, WA-based Guidant Financial Group, Inc. help structure specific retirement accounts that enable investment into private businesses. “This investment strategy has been implemented for [more than] 15 years and has been legal since ERISA passed in 1974,” said Joe Wishcamper, general counsel for Guidant Financial Group. The main reasons a business owner would want to turn to their retirement accounts for financing include the added advantages of less business debt and greater long-term potential for their retirement funds. By using retirement money instead of a traditional business or home-equity loan, business owners can avoid costly debt service. This enables more money to be reinvested into the business instead of sending cash to a bank each month in the form of interest payments. In addition, because the retirement account owns a portion of the business, some of the profits from the business can be returned to the retirement account tax-deferred. If you are looking for financing for your new or current business venture, your retirement account just might be the answer. Before proceeding with this type of investment strategy it is important to understand all the benefits and risks involved when investing retirement dollars into your business or franchise. As a former options trader and a renowned educator and entrepreneur, David Nilssen continues to forge an extraordinary career within the investment community. He personally has purchased millions of dollars in raw, residential and foreign real estate and has helped to initiate numerous businesses within the service industry, including a real-estate agency/property-management firm and development company. Nilssen is recognized nationally as one of the leading experts on non-traditional investments.